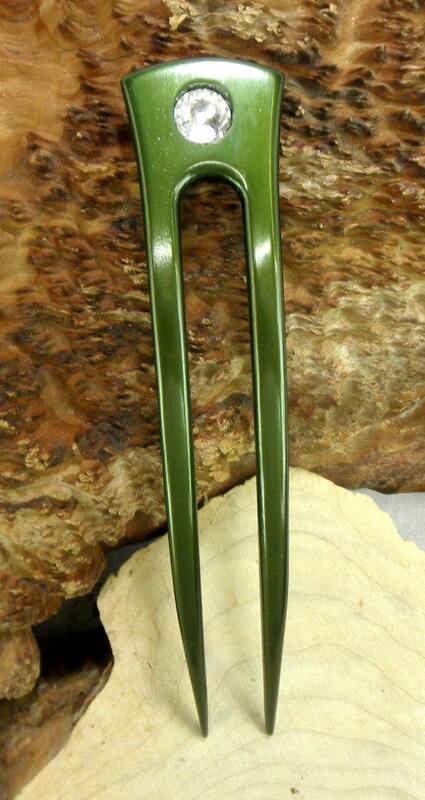 This sale is for One Green Colored Anodized Aluminum 6 inch Curved Hair Fork. Each has a Rhinestone added to them to add a little sparkle. They are 6 inches long and a little over 1 inch wide and just under 10mm or 3/16 of an inch thick.This Hair Fork is curved to fit the contour of your head. 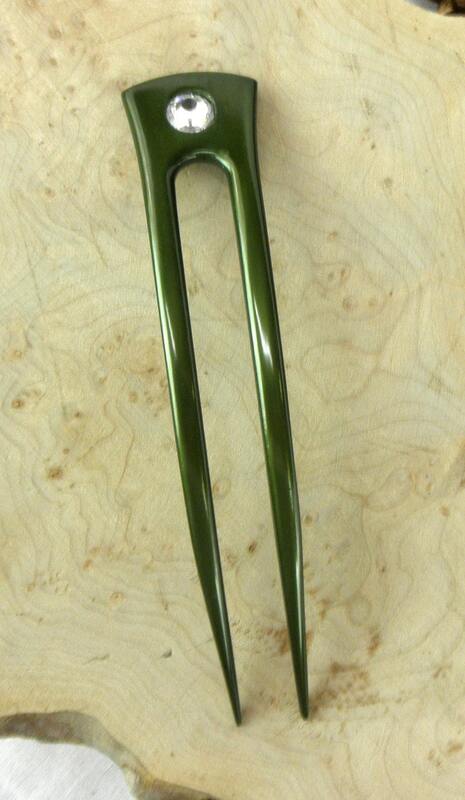 You get ONE Green Colored Anodized Aluminum Six Inch Curved Hair Fork in this sale ! Perfect! 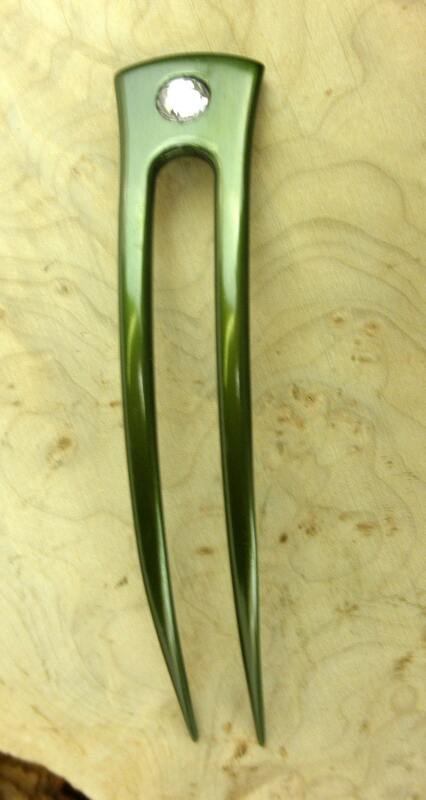 This fork is so pretty and lightweight in my hair. Great hold. Fast shipping and a kind, handwritten note was included. 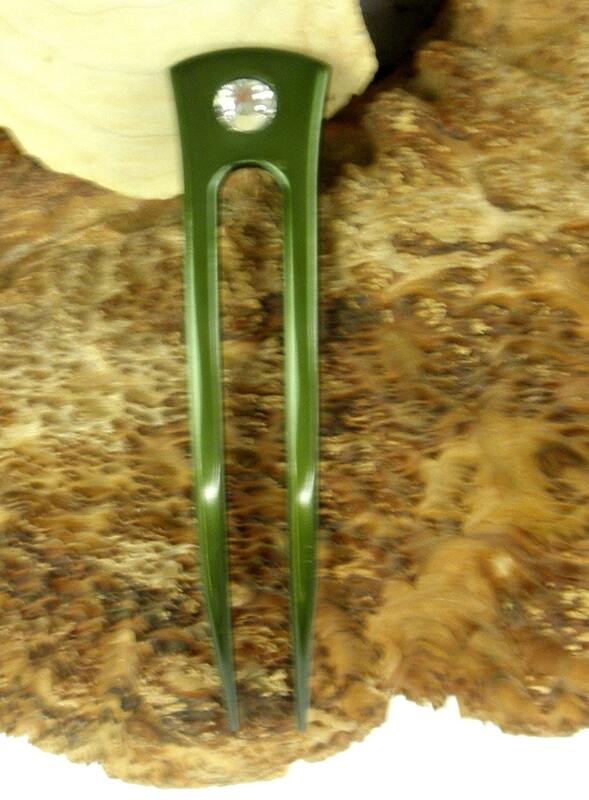 Plus, the seller surprised me with a bonus fork - Merry Christmas to me! I will be buying from Jim again - Mahalo! Fabulous as usual!! Thank you for the very nice gift! !